Using red cabbage as a dye is fun! Not only is it a beautiful colour but it has magical ph colour-changing properties. The dye is considered fugitive and unfortunately will fade, but I have still had lovely results. Red cabbage neutrally is a blue-purple and with acid turns a pink, bases turn it green. You can even use red cabbage to make your own ph indicator strips! To dye my wool yarn I chopped up a red cabbage, boiled and strained it to get the liquid. I then soaked half the skein (wanting some variegation in the yarn) in the dye bath with a little alum added – only useing a small amount because the alum affects the ph and therefore the colour changes. Removing the wool, it was a beautiful blueish-purple. For fun (and to see if it would last), I sprayed some lemon juice on a few sections, turning the yarn pink! When rinsing out the yarn it sadly but expectedly changed the pink back. I then decided to soak the other half in the exhausted dye. The final product is a pale blue after about a month and a half, which I’m happy with because I love the colour and actually expected it to fade a lot more. 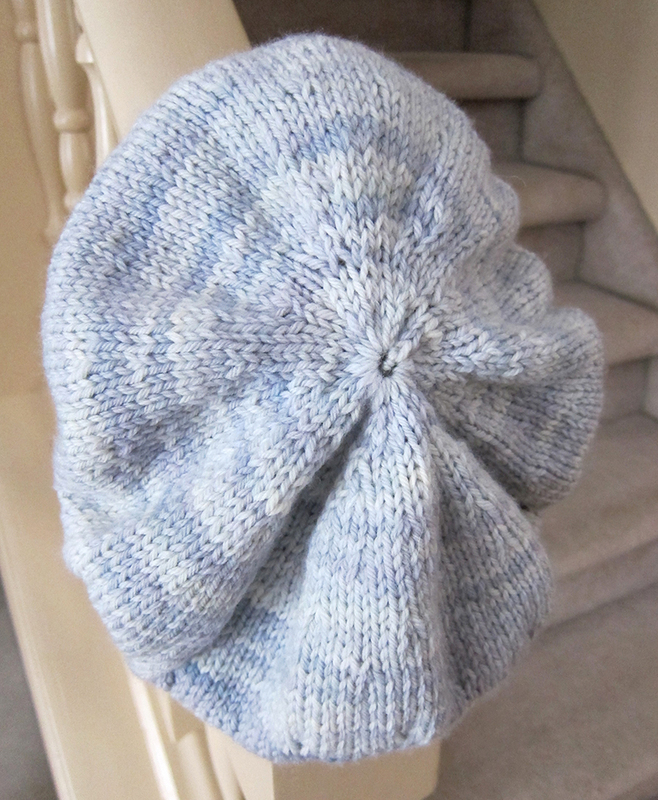 I knit a hat with the yarn, and 4 months later the colour hasn’t faded anymore.